2-4 Chicken frames You can ask your butcher for a bag of these. Sometimes they give them away. 1 Whole fish Select mackeral, herring or salmon. Skins, head and fins are required. With the exception of large meat cuts such as a shoulder joint or ribs, place all other bones, joints and meats into a large pot and fill it up with filtered water, add natural unprocessed salt to your taste at the beginning of cooking and about a teaspoon of black peppercorns, roughly crushed (optional – pepper sometimes too hot for children). Apple cider vinigar can be added at this point. Large cuts of meat or bones with meat on them such as the shoulder joints or ribs can be lightly browned in a low oven at 175 degrees Celsius for 30 minutes and then added to the pot. If you are making fish stock you need bones, fins, skins and the whole fish head NOT THE MEAT. Buy your fish whole and cut the fish meat from the bones to use for a seperate meal and use the rest of the fish to make your stock. If you are folowing the Full GAPS Diet, you may add the onion, carrot and celery to the pot. You do not need to cut them finely as it will make it easier to be removed and discarded later. If you are following the introduction diet stages, we recommend you avoid the vegetables at this time. Bring to boil, cover and simmer on a low heat as shown below: •	2 ½ - 3 hours for beef, lamb, pork and game •	1 ½ -2 hours for chicken and •	1 – 1 ½ hours for fish stock. This is the measured cooking time frame to make your nutrient meat stock. Bone stock without the meat cuts are usually longer. The longer you cook the stock the more nutrients and the softer the bones become for fishing out marrow. After cooking for the recommended time above, remove the meat and bones by straining the stock ingredients through a sieve. You can do this by collecting the stock under the strainer into a larger pot. Strip off all the meat and soft tissues from the bones as best as you can and extract the bone marrow out of the large tubular bones while they are still warm: to do that bang the bone on a thick wooden chopping board. The gelatinous soft tissues around the bones and the bone marrow provide some of the best healing remedies for the gut lining and these should be put aside with the meat that has been stripped from the bones to add later to the soup. It is also ok for the patient to eat the marrow and soft tissue direct from the bones. Strain the remaining stock with a cheesecloth to remove all remaining small bones, pepper corns and any vegetables that were added. Discard any tiny bones and vegetables added. 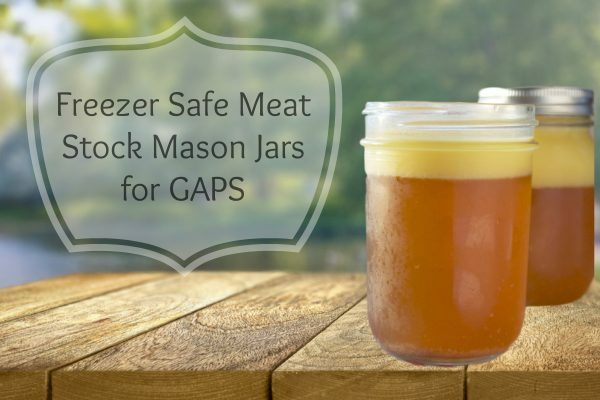 Storethe stock in wide mouthed freezer safe mason jars in the fridge or freezer. The meat stock will keep well in the fridge for at least 7 days or it can be frozen. If you wish to make bone stock and cook the ingredients for longer to extract more nutrients from the bones, we recommend you discard the meat afterwards as it will be over cooked but still produce a good meat/bone broth. Some people like to cook their stocks all day or overnight. The ratio of ingredients is individual and dependant on the size of the batch you wish to make but keep in mind that some stock should be reserved for drinking and some for making your batch of soup. The remainder of your ingredients will depend on what type of meat stock you are making. Here is a list of bone selections you can ask for at your organic butcher shop. Add half a cup of apple cider vinegar to help draw out minerals from the bones and into the stock such as calcium potassium and magnesium. Some people may not be ready to add this during intro. Choose fatty fish like mackerel or salmon. But make sure they are not farmed or preserved in any way. Gelatine as the substance extracted by boiling bones, hoofs, trotters and soft animal tissues from gelatinous meats. 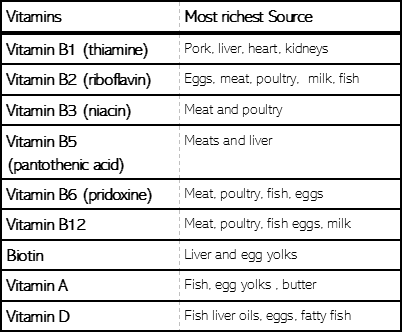 Contrary to popular belief meat, fish and organ meats like liver and kidney have the highest contents of vitamins, amino acids nourishing fats, many minerals and other nutrients which we need in order to be adequately nourished. Low fibre is the aim initially (especially for people who have profuse watery diarhoea), however if you are more prone to constipation, you can add onion, celery and cabbage to the stock for more flavour.